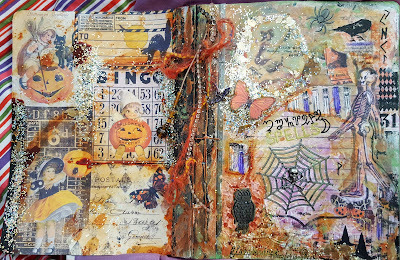 Sharing an Altered Composition Book I put together for my project for Tsunami Rose Design Team. 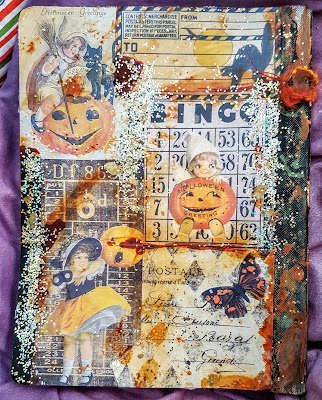 I plan on using it to save my Halloween and Fall ideas. 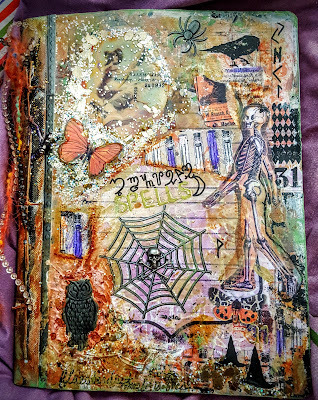 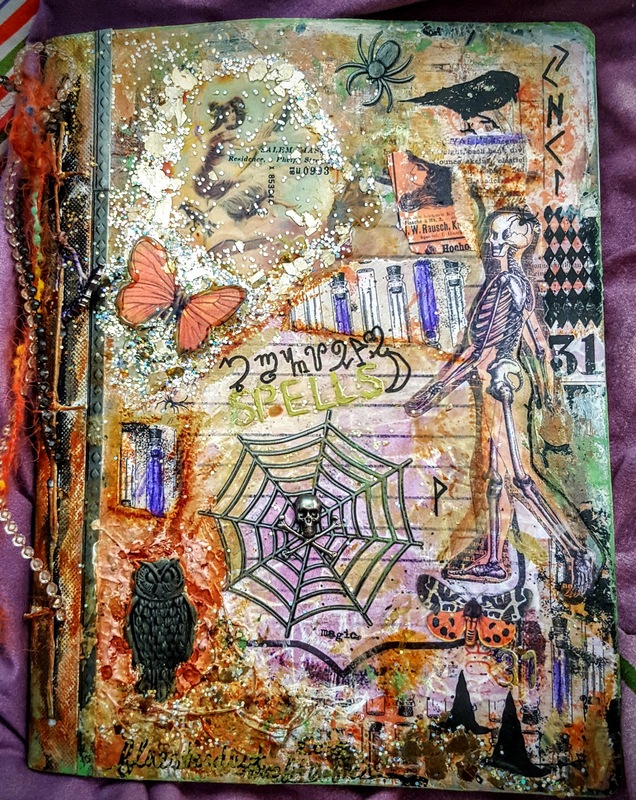 I used Tsunami Rose Witches Brew Halloween Printable Journal Kit for all the papers. Combined with Tim Holtz new Halloween Rub Ons, Stickers and Embellishments. 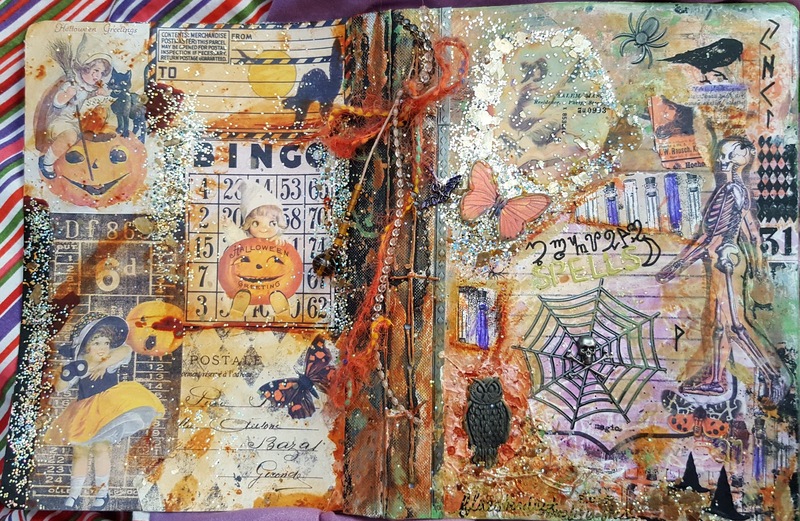 Tons of inks and paints, Glossy accents and lots of glitter. 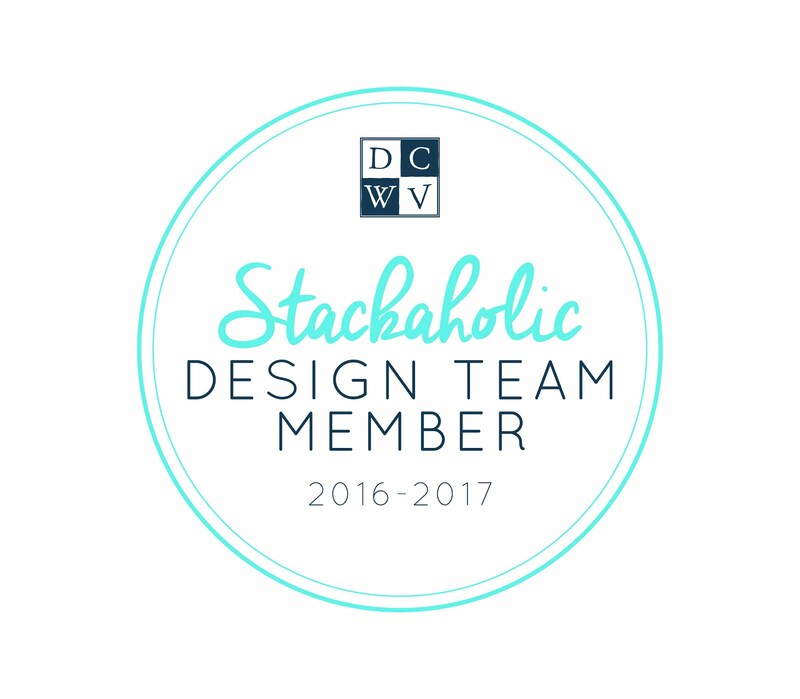 I love working with all the Tsunami Rose Printable Kits so many great graphics to work with.